In the last couple of decades, lean manufacturing has seen huge growth as a way of identifying and eliminating waste, or activities and resources that do not add value to the process—thereby improving productivity and empowering manufacturers to respond more aptly to market demands. 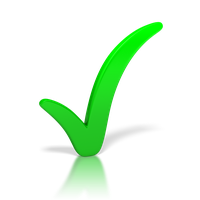 Manufacturers today have become more sophisticated with their lean-enabling technology implementations. Of all the technologies associated with lean manufacturing, experts say data analytics and IoT backed Machine-To-Machine (M2M) communications stands to have the greatest impact. The use of advanced analytics techniques in manufacturing operations can help to solve problems that undermine efficiency in complex manufacturing environments. 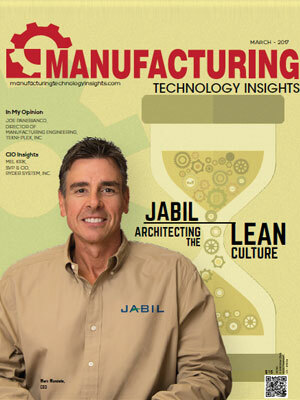 A data-fueled lean production empowers manufacturers to resolve hidden bottlenecks, operational rigidities, and areas of excessive variability. Whereas, IoT supports and enables a truly lean enterprise by delivering better metrics to drive increased efficiency and productivity. Intelligent devices spread throughout the f loor can capture data to help manufacturers keep tabs on equipment uptime and utilization rates providing insights to optimize operations on an on-going basis. In nutshell, implementing lean manufacturing solutions is a proven method to improve business outcomes and beat competitions. 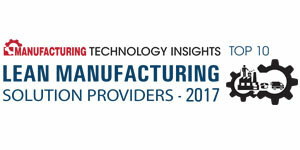 In order to assist CIOs in identifying the right lean manufacturing solutions for their business, Manufacturing Technology Insights presents “Top 10 Lean Manufacturing Solution Providers-2017.” This edition features the best solution and service providers offering tools and services in the lean manufacturing landscape. A distinguished panel comprising CEOs, CIOs, VCs, analysts, and the Manufacturing Technology Insight’s editorial board reviewed the top companies in the lean manufacturing solutions domain, and shortlisted the ones that are at the forefront of tackling industry challenges. 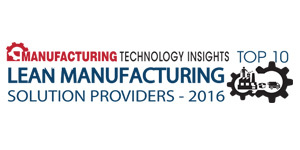 We present to you “Top 10 Lean Manufacturing Solution Providers-2017”.